What to do with extra parma ham? 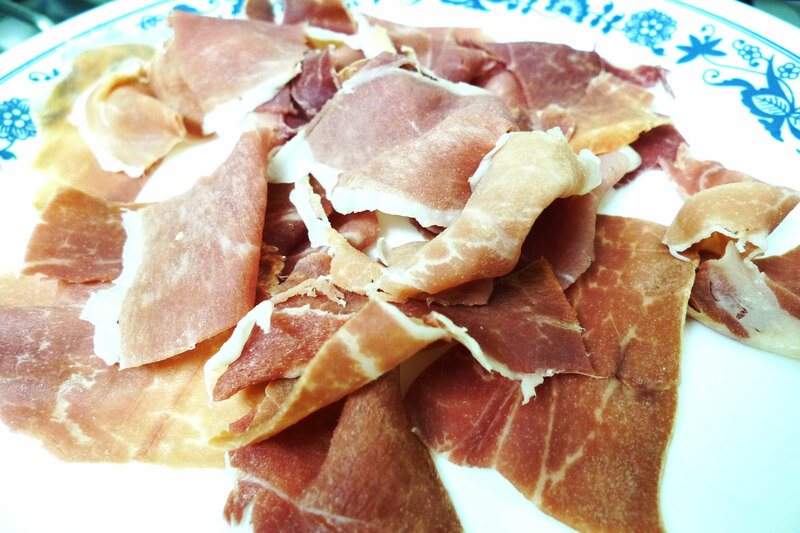 As the title of this post states, what can I do with leftover parma ham? 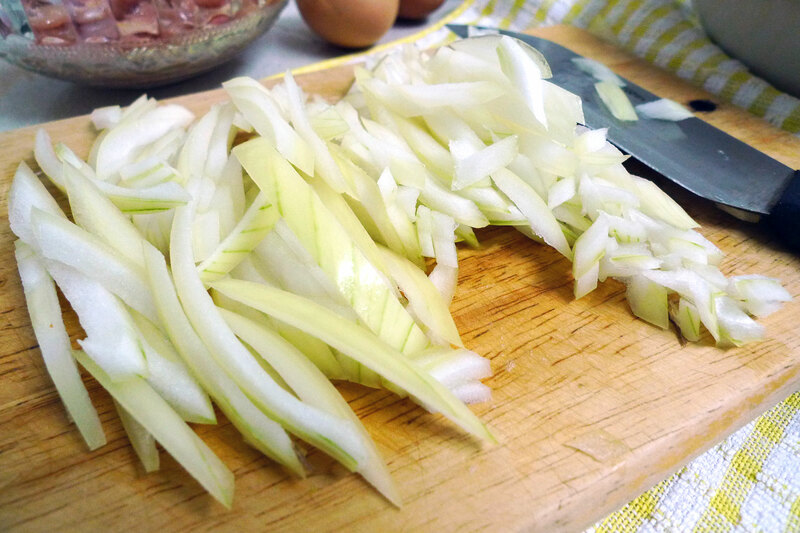 I decided to saute it together with potatoes & onions! 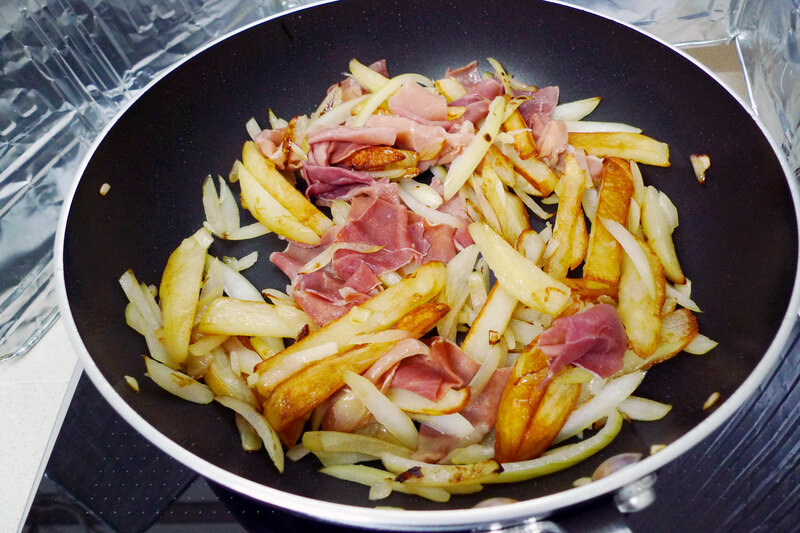 Finally I add in those extra slices of parma ham to add that lovely bacon taste to the fries. 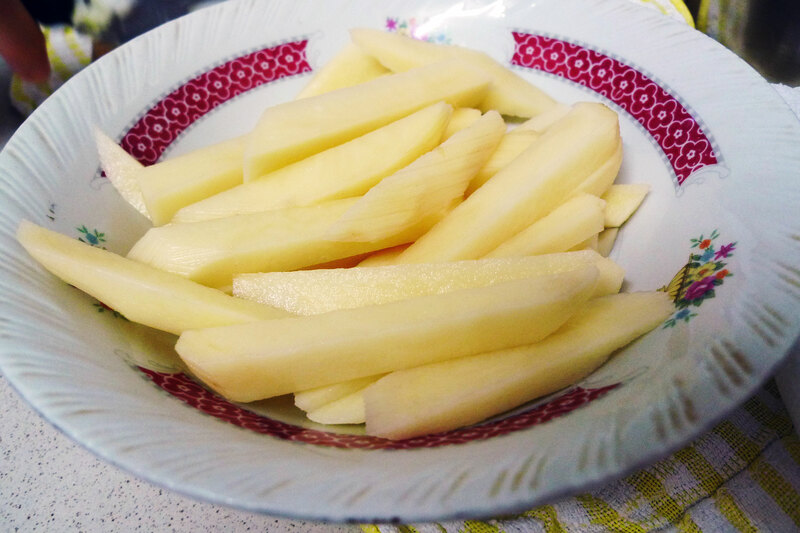 Pretty yummy for a side dish that I cooked up randomly. 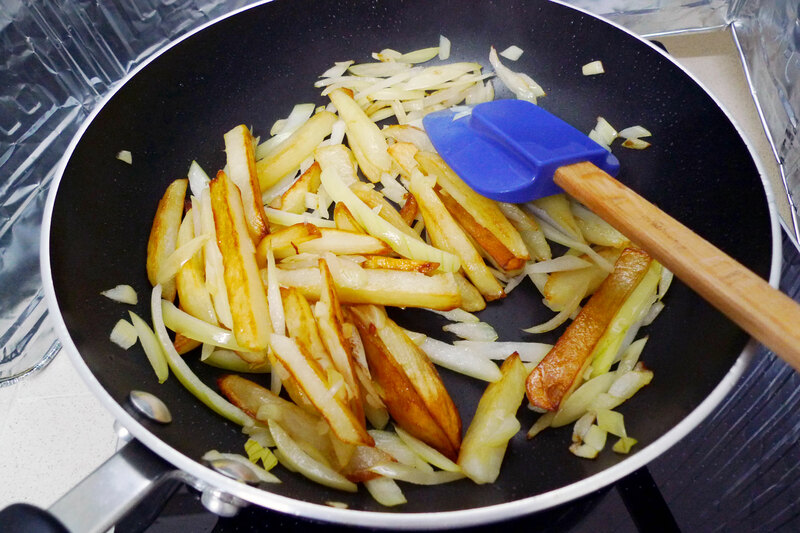 Making fries is always delicious but the onion gives it additional sweetness and the parma ham renders some saltiness onto it. I don’t know if I offended anyone by cooking parma ham this way but I don’t care!